We were looking for an interesting place to visit near Ogden, UT. just over the border in Idaho, City of Rocks National Reserve, caught our eye, but it was a bit too far for an afternoon. 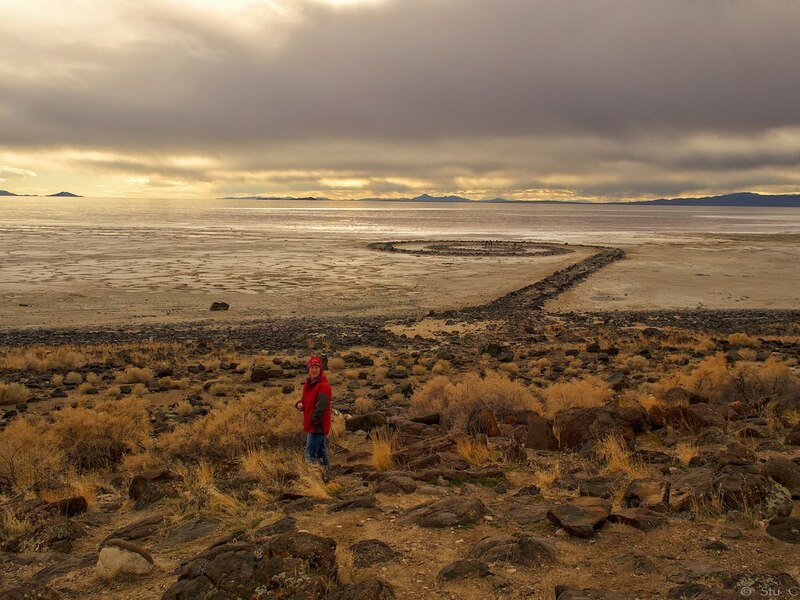 Instead, we spied something called the Spiral Jetty on the northeastern shore of The Great Salt Lake at Roxel Point Peninsula. It's a stone jetty, jutting out into the Salt Lake, but in a uniquely spiral form. It's considered to be artwork, from American sculptor Robert Smithson, who built it in 1970. The Spiral Jetty is even featured on several webpages, including Wikipedia, though what isn't these days? ...and now it's featured on this one. Apparently, Smithson originally built the jetty in just six days, using black basalt. It seems he appreciated it's contrast with the redish water. (The water takes the color from salt-resistant algae & bacteria, able to live in the 27% salinity of the lake.) Wikipedia actually lists the construction materials as basalt, mud and precipitated salt crystals. We were somewhat lucky to get out on the jetty, since walking on it depends on whether or not it's submerged. The jetty was actually built during a drought; once the lake level normalized, the jetty was actually submerged for some three decades! Apparently, if the lake surface is under 4,195 ft. elevation, then it's walkable, which coincides with the drought conditions we've heard about in the western U.S. Given the current drought, it possible to walk quite a ways out onto the lake. Yes, onto. As the lake recedes, it leaves thick deposits of salt near the shore. These deposits are the precipitated salt crystals, reaching hundreds of yards into the water. We didn't know if there was water underneath this salt, so we did not venture out too far. It seemed quite robust though, letting us get far enough to see this shallow pond of water on top of some of the salt. Miles and miles across grasslands on the way to the jetty. This is grazing country. Herds (black angus?) are everywhere. 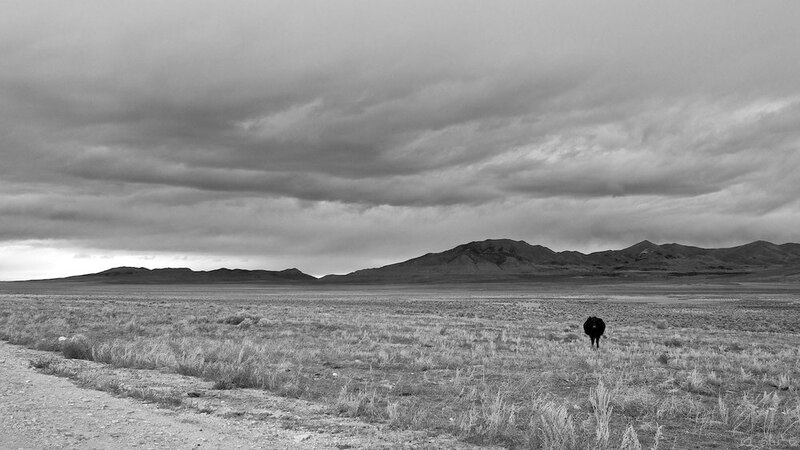 You can't drive too fast on the dirt roads, since there might be a herd standing in the roadway, just beyond a rise. We encountered this, though we did have ample warning across a flat stretch of ranch roads.